The arcade racing classic’s remaster arrives on the platform months after the console versions. Criterion’s Burnout Paradise Remastered will finally be making its way to PC. It’s out on August 21st, coming six months after the PS4 and Xbox One versions (which may be a blessing, given the problems at launch). Burnout Paradise Remastered is, as the name implies, a remaster of the 2008 racing classic. Along with stunts and racing through Paradise City at insane speeds, players could engage in all kinds of destruction. 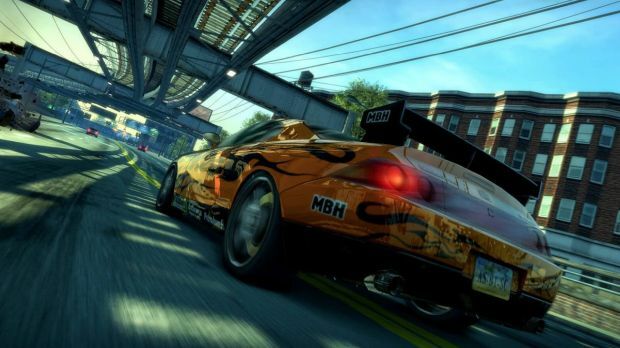 Even a decade later, Burnout Paradise stands as a pinnacle for the arcade racing genre, even despite the lack of quality-of-life features that titles like Forza Horizon and Onrush boast. The Remastered version introduces visual improvements, though how the PC version stacks up to the original release remains to be seen. At least the Big Surf Island DLC will be available as well for players to enjoy. Check out GamingBolt’s official review of the PS4 version to learn more about the game, which sees only minor improvements over the base version.